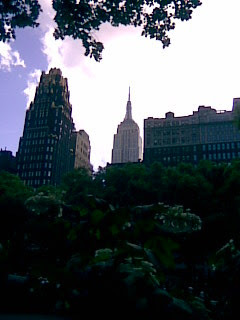 In the meantime, Bryant Park is turning out to be a lovely place to write during these sunny days. Free wifi, fresh air, lots of trees, lovely views and people watching. Who even needs a coffee shop? In fact, I might just come here any time I want to actually be productive since my apartment is simply not cutting it. Bonus: no need to buy a stale muffin to enjoy the Internet perks! Hmm...I wonder if one of you readers are here, too. If so, I'm the one staring at the 'Wichcraft Sandwiches kiosk and drooling. And P.S. Nothing gets me in a good mood faster than sunshine, nature and freshly-shampooed hair! Mmm! Note to self and other single ladies: Bryant Park is an easy place to get hollered at. Use the Come Hither Look and Flirtatious Smile cautiously as hiding behind a laptop will not deter unwanted attention. Oh I love Bryant Park! The library, the Bryant Park Hotel, such a great view! Plus, I will always remember it as the place I got to meet one of my idols, Diane Sawyer. I so want to trade places with you right now! Have a great day in the sun! SOMEDAY I will get to New York. In the meantime I am envious, and I will go pout in my corner. HAHA love it up, I hear New York is fabulous! 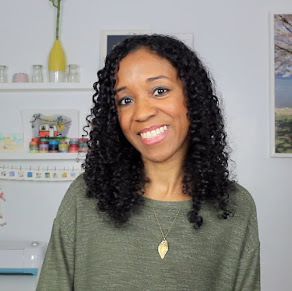 popping in from SITS to leave ya' some bloggy lovin! Does Tobi like freshly shampoo'ed hair too? I mean his.. not yours.. LOL. Nothing gets me in a good mood faster than sunshine, nature and freshly-shampooed hair! oooohhh, I hope you end up with stories about strangers chatting you up on a bench. :) I'll be waiting to hear! joy, it's a nice "little" park and it was so nice on Sunday! And you got to meet her? Lucky girl! I've only seen her from afar at one of their summer concert series shows. ab, thanks for dropping in! No need to be jealous, I'm sure wherever you are there's a lot more green space than in this concrete jungle. when Anonymous came by to save me...and she came bearing Mickey D's! Gotta love a beautiful park on a nice sunny day with the breeze blowing and nice, fresh, clean hair dancin on the drafts.